How amazing we can play it in summer! This is a pure white snow ball. Why don’t you play Snow Ball Strikes in Tokyo? Let’s enjoy Snow Ball Fighting! We deserve you a more precious moment than you’ve expected. We deserve you a special program in Tohoku Mountain Area. Where is deep snow country you’ve never seen before. And we hope to come here and there surround the forest. There have a lot of natural resources in the forest. We can talk about SNOW BATTLE (Yukigassen) to the world. Please catch the snow and throw to for future. 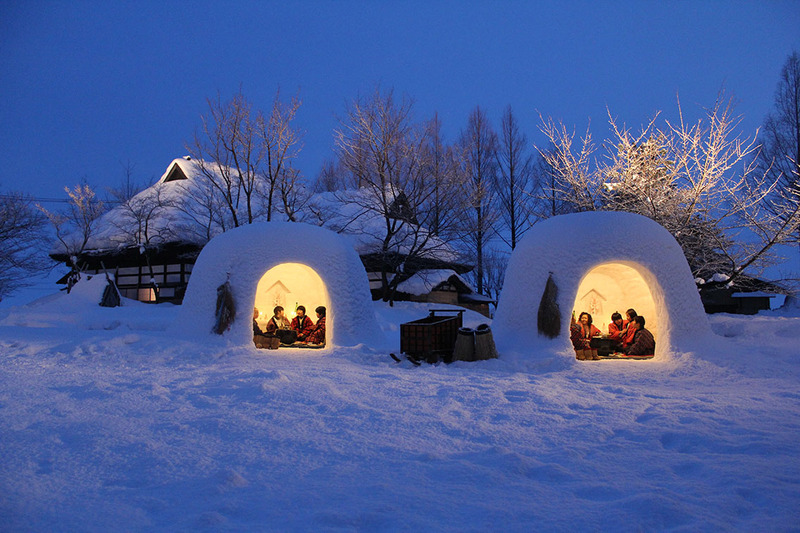 We’re sure to satify with the snow country in Tohoku. You can stay in Kanayama-cho & Yokote city. Please ask me without patience. （Yukigassen）also recommend on the Beach! From one kind of children’s backlashes to adopt the method for making the best team we can tell you. However each businessman will meet up at first time, they can feel efficient deeply by using snow balls . Our company recommends the most important is a study through the sports which we cannot find out the way in a classroom or office effectively. Regardness of a season and places we can play Snow Ball Fight into SBS! (Snow Ball Strikes) for example the beach or the downtown. if you have snow machine or ice crasher and a certain quantity of water. You can play it all over the world. It’s called ECO , it makes no waste. Because the snow ball melts to water and then evaporates. We promote Snow Ball Fight for person who are unfamiliar to snow. We customize it into Snow Ball Strikes for not only Japan but also promote for other countries! We make developments for becoming official event in the Olympic games until 2030’s. There’re 2 teams events (Ice Hockey & Curling) have adopted in Winter games . Thus the event with group becomes lively all over the country. We feel passion for support our home one. 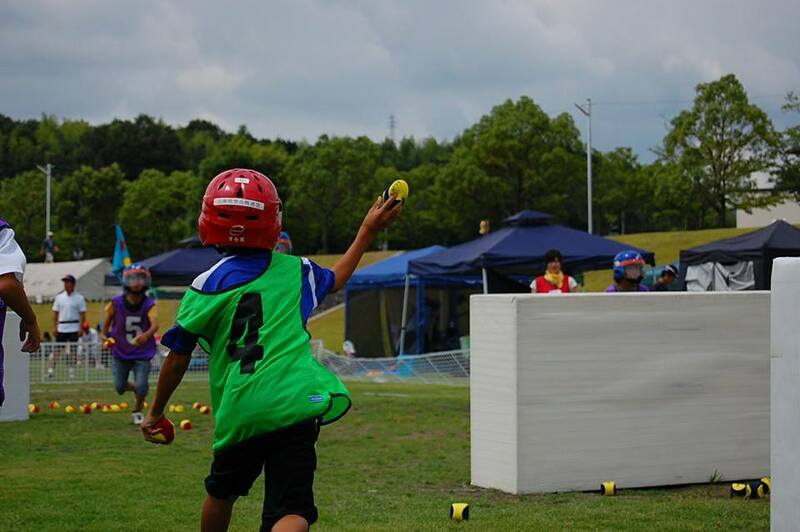 We designate the target for playing SBS is original from Japan in Olympic games. And we must provide environment allowing a player to sufficiently enjoy and increase players for outbound and Japan. Yukigassen on the beach is very easy to play with like beach valleyball. We suggest 5 Playyers each team for 2 minutes and 50 snowballs which ‘re made by Ice Shaver like these. 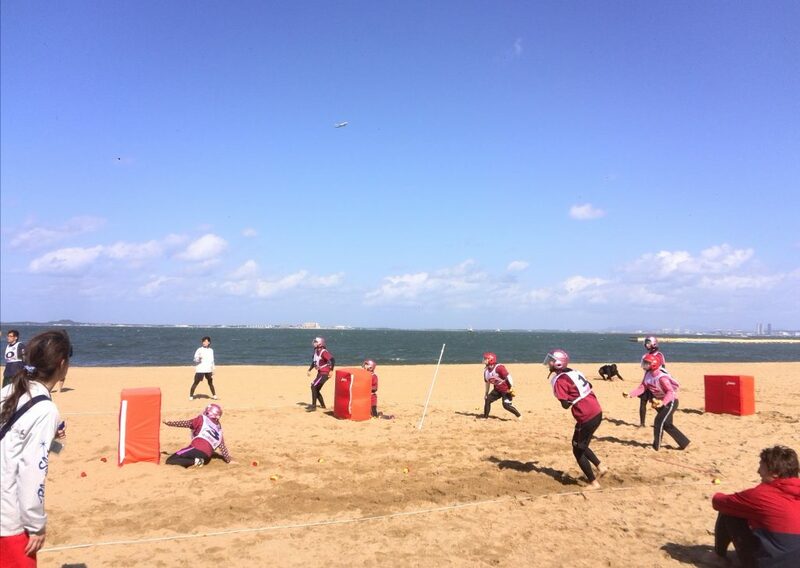 Olympic Gold Medalist and a Famous Soccer Player tried to play snow ball fight on the beach @Odaiba Beach in Tokyo Japan with Yukigassen Champs. In my opinion I’d like to have a charity yukigassen event on the beach in Haiti next year! Sides are divided by Patrols. The defenders of the fort it being supposed that one-third behind fortifications are equal to two-thirds outside. One Patrol might defend the fort, while two Patrols can join forces to attack. The Patrol Leaders decide, by lot, the choice of position. Only the attacking party is allowed shields and ammunition sleds. At least thirty yards from the fort a camp must be established by the outsiders or attacking army, and stakes driven at the four corners to locate the camp. Imaginary lines from stake to stake mark its limits. Each party will have its Patrol Flag which it carries with it in the assault. The defenders of the fort must see to it that all damages to the fortifications are promptly repaired. No water-soaked or icy snow-balls are allowed. No honorable boy uses them, and any one caught in the ungentlemanly act of throwing such “soakers” should be forever ruled out of the game. No blows are allowed to be struck by the hand, or by anything but the regulation snowball, and, of course, no kicking is permitted. Any soldier from the fort who shall be carried off within the limits of the camp becomes a prisoner of war, and cannot leave the camp until rescued by his own comrades. Any one of the attacking force pulled into the fort becomes a prisoner of war, and must remain in the fort until it is captured. Prisoners of war cannot be made to fight against their own side, but they may be employed in making snowballs or repairing damages to fortifications. Any deserter recaptured must suffer the penalty of being made to work with the prisoners of war. When the outsiders, or attacking army, can replace the enemy’s colors with their battle-flag, the fort is captured and the battle is won by the attacking party; all fighting must then immediately cease. But if, in a sally, or, by any means, the soldiers of the fort can take the colors of the opposite party from the camp and bring them inside their fortifications, they have not only successfully defended their fort, but have defeated the attacking army; and this ends the battle, with double honors to the brave defenders.